This is a photograph of a bag I made for a friend of my daughter for her birthday. 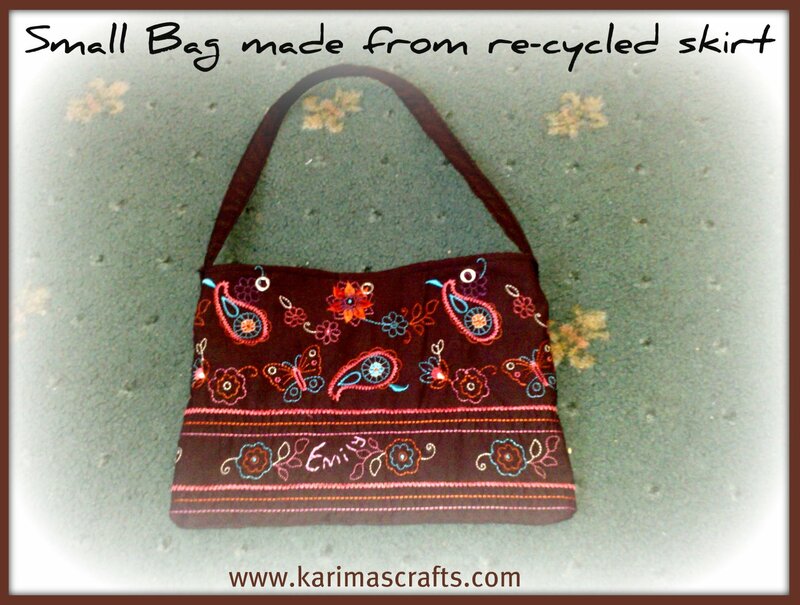 This bag started life as a lovely designed girl's skirt. This skirt was only worn once, so the fabric was in excellent condition. Unfortunately I forgot to take a photograph of the skirt before I had unpicked it all to leave just the fabric. 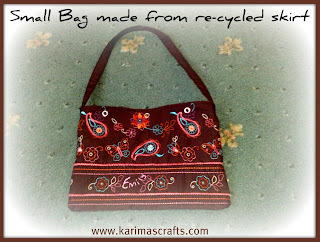 The whole bag is made from the one skirt, which includes the outside, inside and the handles. There are still some remnants left which I have stored hopefully for another project. I didn't add any zips or fasteners to this bag, but because the fabric is detailed this compensates for the basic design.